Located in Regina, Eric’s Autobody Inc offers a number of services to restore the look and functionality of your vehicle. 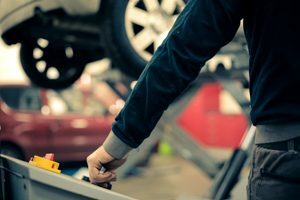 As an automotive body shop, we are available for auto repairs, paint center services, restorations, and mechanic work for vehicles of all types! From large and small buses to complete auto care for your car, we are the go-to shop for any of your needs. We offer comprehensive repairs for any type of vehicle, but our mechanics offer specialised expertise for school buses and large trucks. Bring your claim to us, and we can take care of the rest! Be sure to contact us or stop in to get started with an estimate today!